Amina Cachalia (née Asvat) was born on 28 June 1930, Vereeniging, Transvaal (now Gauteng) to Ebrahim Ismail Asvat and Fatima Asvat. She was the ninth child in a family of eleven children. Her father was a companion of Mohandas Karamchand (Mahatma) Gandhi. He was also the chairperson of the Transvaal British Indian Association, forerunner of the Transvaal Indian Congress (TIC). The family had moved from Vereeniging, (southern) Transvaal (now Gauteng) to Newclare, Johannesburg, Transvaal where her mother owned property. In Newclare, Amina grew up without any consciousness of colour and race. It was only when the family moved to Fordsburg, Johannesburg and she was forced to attend an Indian school that she became aware of racial politics. Here she came under the influence of Mervy Thandray, a teacher who belonged to the Communist Party of South Africa (CPSA). Thandray took it upon himself to develop the awareness of his students about conditions in South Africa. Her father died when she was about twelve and it was Mervy Thandray, later secretary of the TIC, who became Amina’s mentor. 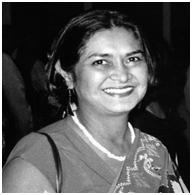 When she was fifteen years old, she transferred as a student to the Durban Indian Girls’ High School. Amina was determined to take part in the Passive Resistance Campaign but she was not allowed to participate, as she was too young. She remained in Durban until the campaign ended late in 1947. She then returned to Fordsburg and decided not to continue with formal education. Instead, she took up shorthand and typing, found a job and became politically active. She joined the Transvaal Indian Youth Congress (TIYC) and attended classes conducted by members of the TIC to learn about the political situation in South Africa and ways to overcome injustice. The TIYC was also involved in tasks such as distributing leaflets and other political activities. At that time, Amina had contact with the leadership of the African National Congress (ANC) who frequented the TIC offices, but she did not have much contact with African people in general.. When the TIC began offering bursaries to South African Indian students to study in India, Amina became interested and applied. This is when she first met her husband-to-be, Yusuf Cachalia, Secretary of the TIC, who was interviewing applicants. When she applied for a passport, the government refused her so she was unable to go to India. She worked for the Peace Council instead where she collected funds and organised meetings. She also became very involved in Congress work and was meeting people like Lillian Ngoyi and Helen Joseph, who worked at the Industrial Council. In 1948, she established the Women’s Progressive Union that worked hand-in-hand with the Institute of Race Relations. Her aim was to assist women to become financially independent. The organisation, which was well supported by the Indian community, offered classes in literacy, shorthand and typing, baby care, dress-making and music. It also offered basic training in nursing and a number of women took up nursing as a profession. The Women’s Progressive Union functioned for at least six years. After she joined the ANC, she worked hard during the Defiance Campaign distributing leaflets, making home visits and recruiting volunteers. On 26 August 1952, she marched in the Germiston batch led by Ida Mtwana. They were twenty-nine women in all: eleven Indian, one Coloured ( Susan Naude), and seventeen African women. The group was arrested and sentenced to fourteen days in Boksburg prison. Amina, the youngest, had a heart condition so the rest of the women took special care of her. During the early fifties, Hilda Bernstein, a dynamic member of the South African Communist Party (SACP), and Ray Alexander Simons explored the idea of a women’s federation that would cut across colour and race. They enlisted the aid of Helen Joseph, Lillian Ngoyi, Josie Mpama (Palmer), Ida Mtwana and Amina. In 1954, the Federation of South African Women (FEDSAW) was launched. Lillian Ngoyi was the first President and Amina wasthe Treasurer. The immediate objective of the organisation was to oppose the proposed pass laws for women. FEDSAW organised a protest march of women to the Union Buildings in 1955. Ida Mtwana led 2000 women, mainly African, in the demonstration. FEDSAW then decided on a national march to include women of all races and on the 9 August 1956, 20 000 women marched to the Union Buildings to present their petitions against pass laws. The women’s efforts succeeded in delaying passes for African women for a few years. 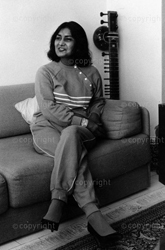 Amina Cachalia also served as patron of the Federation of Transvaal Women (Fedtraw) and was active in organising women in the liberation struggle. At the end of 1956, the police arrested one-hundred-and-sixty-five activists on charges of treason. Charges against sixty-five people were dismissed after a year and thirty were sent to stand trial in Pretoria in 1959. In March 1961 all charges were dropped. During the treason trial proceedings in Johannesburg, Amina assisted her sister, Zainab Asvat, in support work for the trialists and those families that had been left destitute by the removal of a breadwinner. After the Treason Trial, and the banning of organisations, political activity went underground and took new forms. Activists were all regarded as threats to the state and many were banned in 1963. Amina was banned for a period of five years in November 1963 while she was recuperated from a serious heart operation. Yusuf, her husband, was also placed under house arrest. Amina could not attend social and political gatherings, was not allowed to leave the magisterial district of Johannesburg, and could not enter any publishing house or educational premises. When Amina’s banning order was about to expire, she was served with another and then another. She remained under banning orders for fifteen years. The bannings, which restricted her movement and ability to associate freely with people, effectively put a stop to her political work. She played a key role in planning and executing the escape of Arthur Goldreich, Harold Wolpe, Mosie Moolla and Abdulhay Jassat from Marshall Square prison in 1963. Following three consecutive banning orders amounting to 15 years of house arrest, her banning ended in 1978. She immediately became involved in the struggle against the government’s efforts to co-opt the Indian and Coloured communities. The government was trying to win legitimacy for the government appointed Indian National Council, which had become the South African Indian Council (SAIC) and was regarded by the Indian community in general as a body of sell-outs. The government planned to legitimise this body by allowing Indians to elect their own representatives to it. Progressive Indians, like Amina, were opposed to this new form of apartheid and Anti-SAIC committees were formed to fight the bogus elections. Even though the vast majority of the Indian community boycotted the election, the government regarded the election results as endorsement of their policy and went on to propose the Tri-Cameral system. This led to the resuscitation of the TIC and the formation of the United Democratic Front (UDF). Amina became actively involved in these organisations, campaigning against the new dispensation. When the African National Congress Women’s League (ANCWL) was resuscitated in the 1990s, she served on the committee of the PWV [(union of Pretoria, Greater Johannesburg (Witwatersrand) and Vaal Triangle (Vereeniging)] region. She was elected a Member of Parliament for the National Assembly in the first democratic elections in 1994 and was offered an ambassadorial posting, which she declined. In 2004, the University of Witwatersrand conferred Amina Cachalia with a Doctor of Laws degree, honoris causa. Amina Cachalia passed away on 31 January 2013 in Johannesburg, Gauteng. • Profile of Amina Cachalia [Online]. Available at: thepresidency.gov.za [accessed 29 October 2009]. • South African NRI women's rights activist honoured - A life worth celebrating. NRIpress [Online] 03 Jan 2004. Available at: nriinternet.com [Accessed 29 October 2009].